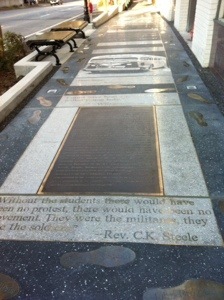 This past week I had the opportunity to do a Social Studies workshop in a Tallahassee. I haven’t taught history in almost a decade (hard to believe I’ve been out of the classroom that long) but I regularly want to go back to it. As good as I am with Special Education stuff, I am a history teacher at heart, so this was a nice way to reconnect with that part of my brain. 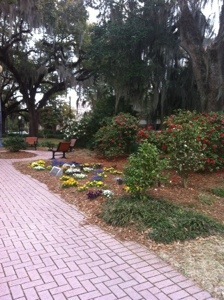 Tallahassee is an interesting place; it is home to FSU and FAMU as well as the state government. Beyond that, however, it is very much an old southern town. On of my favorite things about Tallahassee is the parks and the canopy lined roads. The huge, old live oaks with Spanish moss hanging down from them makes for lovely evening strolls. The other great part about being in a college town is the plethora of good, cheap food. Mom (who came with me to help with the night driving that I really should never do) and I found a great deli and, to our surprise, a Japanese cafe that had incredible food. 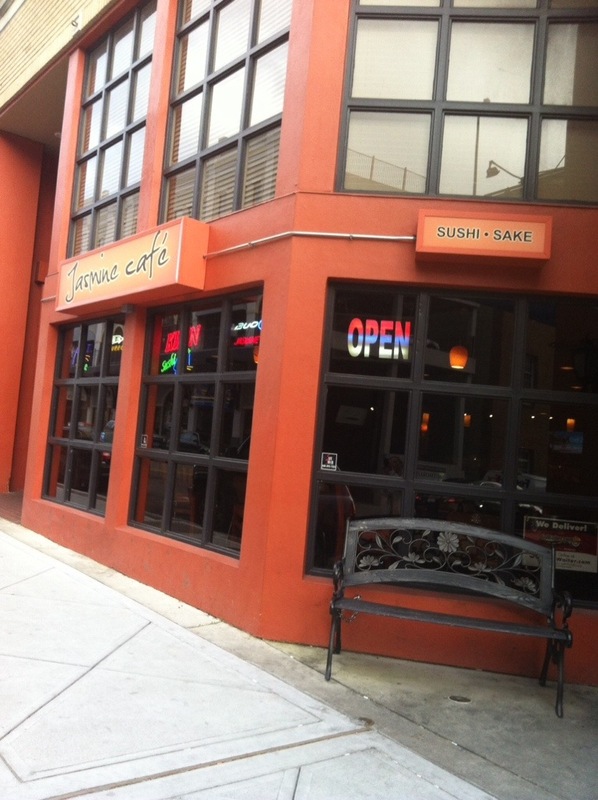 Jasmine’s Cafe has apparently been around for fifteen years; this doesn’t surprise me as the food was that good. 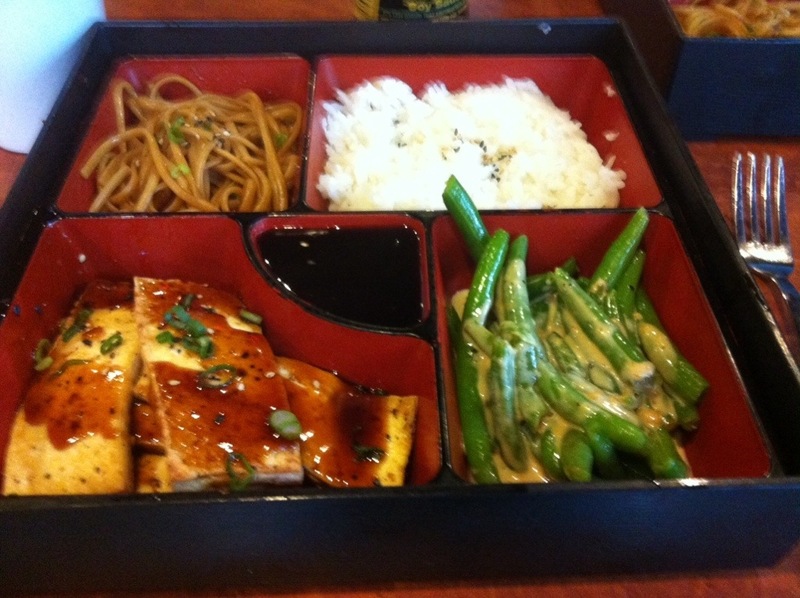 I went with a tofu bento box for dinner. This place would do well in NYC or LA or any other “food” town. I ate everything in my box except for a few green beans and was thinking about trying to locate a coffee shop or bakery when I found out they have desserts. 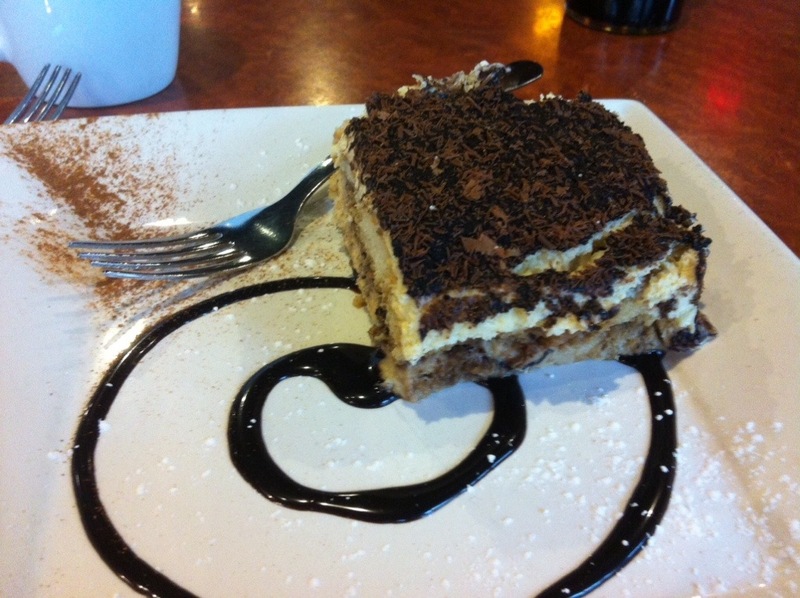 I went with the tiramisu. Yes, an Italian dessert in a Japanese restaurant. Odd, but oh so good. Turns out the owner’s mother makes the desserts for the restaurant. I ate way more of this than I should have (which is a nice way of saying, the entire thing … By myself … after eating dinner) but it was worth it. Now I want the recipe and may have to search for some good ones. If you ever find yourself in downtown Tallahassee, head near the Capitol area and hit College Street between Monroe and Adams. You will not be sorry. We also too the opportunity to see Bob’s parents one night. Suzanne and the boys were down, so we had a chance to hang out a little with everyone. Suzanne made a great dinner with a fantastic pork loin for the main dish. It was odd being in a kitchen and not cooking, but she made a fabulous, well cooked meal that we all enjoyed. I also got to make Bob jealous since his mom made the famous Woodville Delight for dessert. I’m just sorry I didn’t take any pictures. It’s back to the normal grind this week. Tigger is still being nice to Gracie and Jessie seems happy to have me home. Spring has arrived in south Florida, so if you see food pictures taken outside, yes, we are going to enjoy the weather while we can. We used to do the Jasmine Special at least once a week when I was at the foundation. The steamed shumai is to die for!